A new take on a favorite idea, this Celebrate signature frame with pen is a scaled-down size that’s perfect for displaying on a table. Perfect for weddings, graduations, anniversaries and more, each picture frame comes with a signature pen. 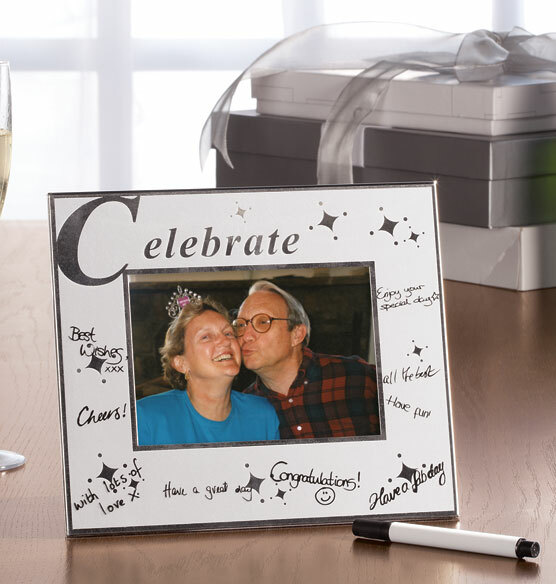 Guests can sign their names and share their well wishes, creating a memento that lasts long after the party has ended.